What happens when three urban artists move to one of the last great, undeveloped spots on the East Coast and respond to the creatures of its forests and tide-swept beaches? The natural beauty of the Eastern Shore of Virginia is our dirty little secret. Few people are aware of it as they hurtle down Highway 13, passing boarded-up service stations and abandoned farmhouses before crossing the sublime 20-mile long Chesapeake Bay Bridge to the bustling naval port of Norfolk. But halfway down the highway is a small town with an Indian name, Nassawadox, which means “Between Two Waters”. Indeed, this narrow peninsula—10 miles wide at most—is flanked by the Chesapeake Bay to the West and the Atlantic Ocean to the East. Fields of corn and soybeans give way to forests of pine and hardwoods, then to bayside creeks, seaside marshes, and uninhabited barrier islands with pristine beaches. This is not the Hamptons; there is a rough, sobering reality to living among the hardscrabble watermen and farmers who have worked the sea and land for generations. The three artists showing in the “Between Two Waters” exhibition chose to move to the Eastern Shore after successful careers in art-related fields in big cities like New York, Miami and San Francisco. Now each artist’s creativity is sublimely connected to his/her natural surroundings. Maurice, “Moe” Spector creates sculpture from wood and stone, capturing the essence of a shell, bird or female figure in sensuous, semi-abstracted forms. Ann Hayden paints wry almost abstract images of birds that are hauntingly beautiful. Barnaby Conrad’s brightly-colored paintings of crabs, owls, and fig trees from his seaside farm vibrate with animist power. We are all creatures of our environment and of our past experiences; thus I take a view informed by my background in Chinese art history. 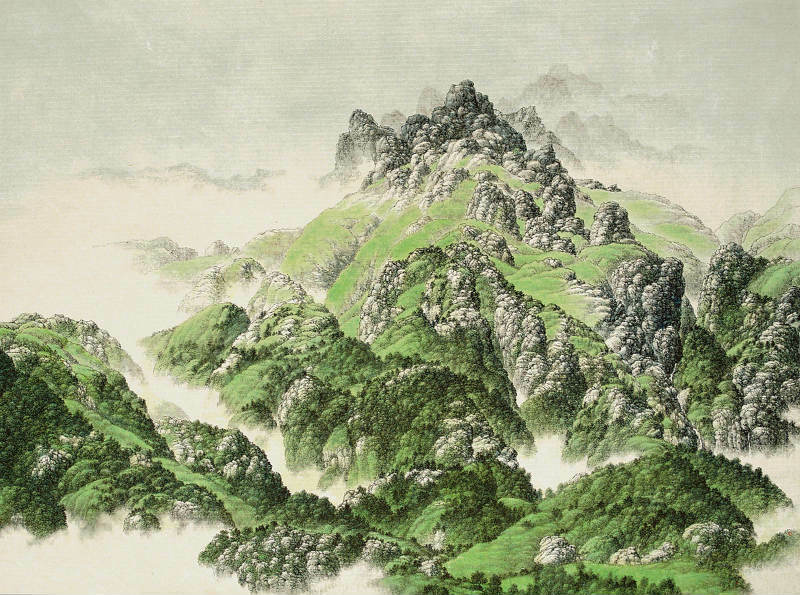 Chinese artists believe that a successful landscape brushed in ink has the ability to transport the viewer out of their immediate, urban environment into the pristine wilderness of the painted scene. In this spirit, M. Sutherland Fine Arts invites the viewer to whiff the salt air, hear the seabirds’ call and experience the primeval stillness of the Eastern Shore of Virginia when you visit the gallery. The show remains up through January 9, 2016. Exhibition Hours: Nov 11-14, 11am-5pm. Otherwise by appointment. the New York Times gets behind “Contemporary Ink”. Much of the contemporary art exhibited in Asia Week’s galleries involves recent translations of ancient traditions like calligraphy, scroll painting or ceramics. 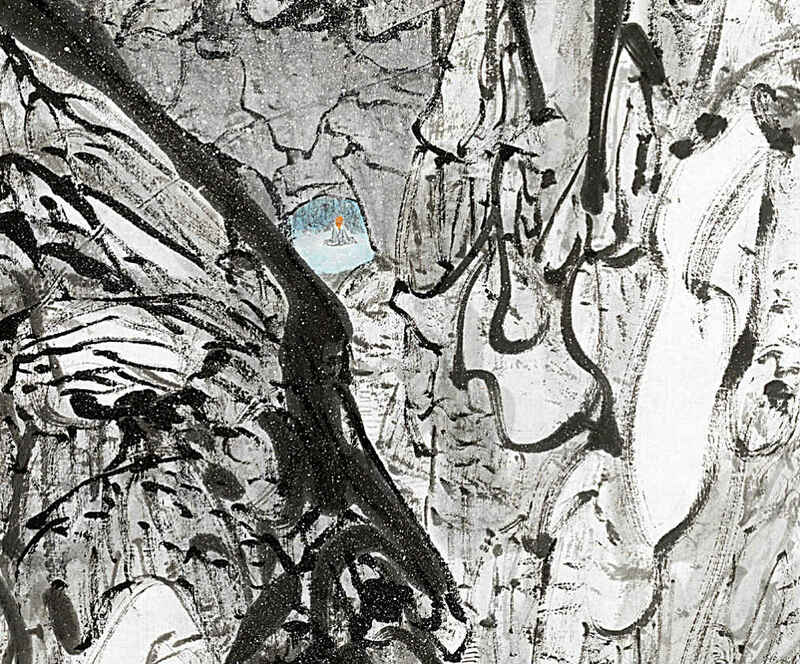 A dealer with a solid roundup of contemporary ink painting is M. Sutherland (55 East 80th Street), including work by Jia Youfu, one of the best-known interpreters of the Song painting tradition. 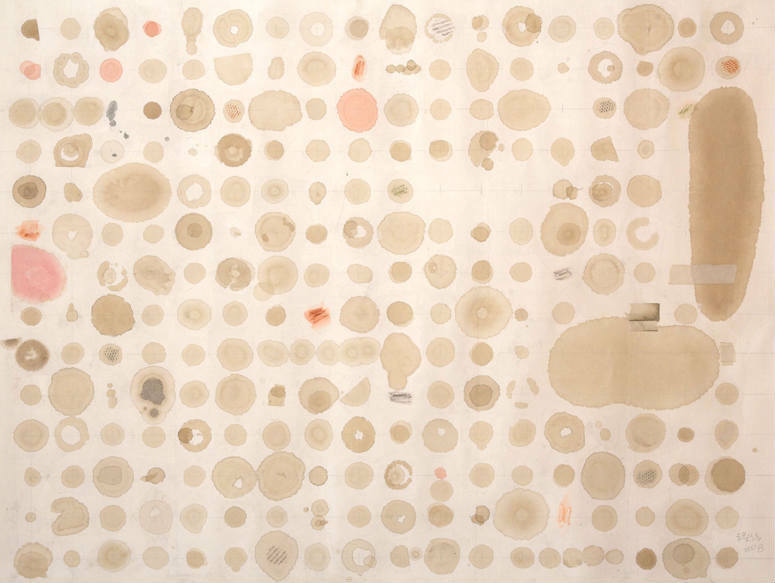 Nearby, they attribute our Liang Quan tea stain painting to another gallery, but we understand: it was a maddening crush of press events yesterday. Our thanks to NYT Art & Design and Linda Rosier! Asia Week, New York chose to use one of our Hsai I-fu works as their Twitter page header and we are very honored. 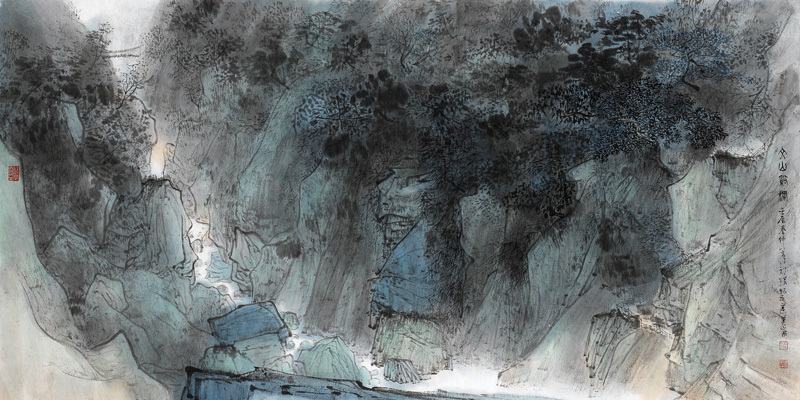 We will have seven works by Hsai I-fu on exhibition as part of our “Contemporary Ink” show that opens this weekend! 1stDibs’ online magazine ‘Introspective’ has a very nice outline of Chinese landscape works on paper being offered in next week’s Asia Week, New York, with a few nice mentions about us and illustrates a few works that will be on view at M. Sutherland Fine Arts for our “Contemporary Ink” exhibition opening next week! Thanks to Wendy Moonan and all at 1stDibs for the excellent work.